The name of this Association shall be ASSOCIATION OF INTERNATIONAL EDUCATION ADMINISTRATORS (AIEA). The Association of International Education Administrators is dedicated to promoting and enhancing the internationalization of all aspects of higher education through conferences, workshops and other professional development; diverse communications media; policy activity; and professional networks among senior international institutional leaders. The AIEA will include five types of membership: 1) Academic Institutions, 2) Other Organizations Supporting International Education, 3) Individuals from member institutions and organizations 4) Individuals from non-member institutions and organizations and 5) Retirees. All members have the right to vote. A. Academic Institutions: AIEA is open to persons with senior leadership and administrative responsibility for international education at their institution. B. Other Organizations Supporting International Education : AIEA is open to the Senior Officers of organizations which provide support and facilitation for international education and are engaged, as an organization, in various aspects of international education. C. Individuals from Member Institutions and Organizations : Other individuals at educational institutions or organizations holding membership in AIEA may participate in the meetings and activities of the AIEA as Individual Members of the Association. D. Individuals from Non-members Institutions and Organizations : Other individuals at educational institutions or organizations may participate in the meetings and activities of the AIEA as Individual Members of the Association. E. Retirees: Retired individuals may participate in the meetings and activities of the AIEA. Membership shall be from January 1 to December 31. The dues for members shall be determined annually by the Executive Committee and will be due during the first quarter of the annual fiscal year. AIEA shall hold one general meeting a year during the period of February through April, part of which meeting will be devoted to the business of the AIEA. Other meetings may be called at the discretion of the Executive Committee. Procedures at all business meetings of the Association shall be according to Roberts Rules of Order Newly Revised. A quorum at the business meetings of the Association consists of all members present at the business meeting. A. The senior officers of the Association shall be a President, President-Elect and Past-President. The President-Elect shall succeed to the Presidency. The terms of the President, the President-Elect, and the Past President shall be from the close of the annual meeting until the close of the next annual meeting. B. The Development Officer will be appointed by the Executive Committee from the membership of the Association, and will serve a three year term. The officer will also serve as a member of the Conference Advisory Board. C. The Executive Committee will appoint an Association Secretary, Treasurer and Editor from the general membership of the Association. The Secretary, Treasurer, and Editor will each serve terms of three years, and may be re-appointed at the end of each three-year term. D. The Executive Committee shall consist of the Immediate Past President, the President, the President-Elect, the Secretary, the Treasurer, the Editor, the Executive Director (ex-officio), the Development Officer, Standing Committee Chairs, Advisory Board chairs and elected eight members-at-large. Members-at-large shall be elected from the membership on a rotational pattern of three year terms. The initial terms and rotational patterns will be established in the By-Laws of the Association. Local arrangements Chairpersons for the annual meetings of the Association may be appointed by the Executive Committee after determination of a site for these meetings and will be ex-officio non-voting members of the Executive Committee during their terms of service. The Executive Committee shall direct the work of the Association according to the general policies determined by the membership and shall conduct the daily business of the Association and control its funds. The Executive Committee will meet at least once apart from the annual Association meetings. A majority vote on all matters shall be considered binding for Executive Committee decisions. A quorum shall consist of a simple majority of the number of voting members of the Executive Committee. Members of the Executive Committee shall be expected to attend all meetings. Failure of a member to attend any two consecutive meetings may constitute grounds for removal by the Committee. Vacancies shall be filled for the remainder of an elected term by a majority vote of the continuing Executive Committee members. E. The Secretariat will be hosted by a member institution for a renewable three-year contract. The host institution will nominate an Executive Director who will be approved by the Executive Committee. The Executive Director serves as an ex-officio (non-voting) member of the Executive Committee. The President shall preside at all business meetings of the Association and at all meetings of the Executive Committee. The President shall appoint such working groups and ad-hoc committees as the Executive Committee deems necessary. The President-Elect shall undertake such duties as the President shall designate and shall be principally responsible for making all arrangements in connection with the annual conference to be held by the Association. In addition, this officer shall preside in the absence of the President and assist the President in the execution of business. The President-Elect shall succeed to the Presidency. The President-Elect serves as Conference Chair and Chair of the Conference Planning Advisory Board. The Immediate Past President is a member of the Executive Committee, the Policy Advisory Board and chairs the Nominations Committee. The Treasurer shall oversee the financial affairs of AIEA including expenditures of the Secretariat. This officer prepares and presents an annual budget for approval by the Executive Committee and presents an annual report to the Executive Committee and the membership. The treasurer also arranges for an annual audit. The Editor shall be responsible for all aspects of publication by the Association. Specifically, the Editor will represent the Association on the Editorial Advisory Board of the Journal of Studies in International Education, a journal published jointly with several other professional associations, and serve as Chair of AIEA’s Editorial Board. The AIEA Editor shall have responsibility for the appointment of an AIEA Editorial Board whose purpose is to assist the Editor in the development of editorial policy, in the review of proposed articles, and in other ways requested by the Editor. The Editor shall select members of the Editorial Board from a list of eligible members solicited from the membership and approved by the Executive Committee. The Development Officer is responsible for raising external funding for the Association, primarily through sponsorships and exhibitor fees at the annual conference. The Development Officer is accountable to the Executive Committee through the President and serves on the Conference Planning Advisory Board. The Secretary shall record and distribute the minutes of each official meeting of the Association. The Executive Director serves as the Chief of Staff of AIEA under the direction of the Executive Committee. Duties include the following: Implementation of policies established by the Executive Committee and operational decisions as delegated by the senior officers of AIEA. Administrative and operational functions in support of the mission and strategic plan of AIEA that assure that the association’s objectives are achieved and member needs are met. The Executive Director serves as point of contact for members and member services and makes suggestions to the Executive Committee on improving member services. The Executive Director may represent AIEA in lieu of the President at the President’s request and is responsible for managing the day-to-day operations of the Association (including maintaining all official documents and correspondence of the Association, and maintaining a register of all members). In addition, this officer will conduct the financial affairs of the Association, including overseeing dues collection, making all disbursements by check, and presenting written financial reports at all regular meetings. The Executive Director also serves as a resource to the Executive Committee and supports committee and board work. Members-at-large on the Executive Committee shall be responsible for helping to promote membership assuring broad representation and acting as resource persons for the Executive Officers. G. A vacancy in any office shall be filled by an appointment by the President with approval of the Executive Committee. If the office of the President becomes vacant, the President-Elect shall serve as President for the remainder of that term and will succeed to the Presidency for the following year. An individual who is appointed to fill a vacancy in the position of President-Elect may succeed to the Presidency only upon majority approval of the voting membership of the Association. A. Standing committees of the Association shall be Membership Committee, Nominations Committee, and Professional Development Committee. Chairs of standing committees on membership and professional development shall be elected for three year terms and may be re-elected to a second term. The chair of the Nominations Committee shall be the Past-President. Membership on standing committees shall consist of 5 members. Chairs shall put out an open call for volunteers and nominate members to the Executive Committee for approval. Members serve on 3-year staggered terms. The charge to standing committees shall be developed, published, and periodically reviewed by the Executive Committee. New standing committees may be created by amendment to this constitution. B. Ad hoc Committees may only be created by the Executive Committee of the Association. Members and chairs of ad hoc committees are appointed by the President for durations appropriate to the charge of the respective committee, subject to the approval of the Executive Committee. The charge to, and duration of, ad hoc committees shall be developed and published by the President in consultation with the Executive Committee. Advisory Boards of the Association shall be the Conference Planning Advisory Board, the Policy Advisory Board, and the Editorial Advisory Board. Chairs of the Editorial Board (the Editor) and the Policy Advisory Board shall be nominated by the President , approved by the Executive Committee and appointed for three year terms and may be re-appointed to a second term. The President-Elect serves as Chair of the Conference Planning Advisory Board. Membership on the editorial and policy advisory boards shall consist of 5 members each, appointed by the chairs with approval from the Executive Committee to 3-year staggered terms. The conference board members serve a 1-year term. The charge to advisory boards shall be developed, published, and periodically reviewed by the Executive Committee. A. 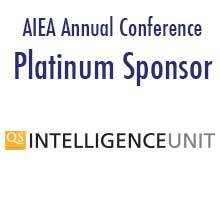 The Nominations Committee will solicit nominations from the general membership of AIEA and prepare a slate of candidates of open elected positions. B. The proposed slate of candidates shall be announced in writing to each member of the Association prior to the annual meeting. C. Elections shall take place by ballot with results announced at the annual business meeting of the Association. Ballots shall be collected from members. A majority vote shall decide all elections. Amendments to the Constitution and By-Laws must first be approved by a majority of the members of the Executive Committee or submitted to the President in a petition signed by at least 25 percent of members. Any proposed amendment shall be distributed in writing to all members prior to a vote on the amendment. To become effective, the proposed amendment must be ratified by a two-thirds majority vote on all members voting or by a two-thirds majority vote of the quorum at the annual business meeting. Upon the dissolution of the Association, the Executive Committee shall, after paying or making provisions for the payment of all of the liabilities of the Association, dispose of all the assets of the Association by distribution exclusively to charitable, religious, scientific, literary, or educational organizations which would then qualify under the provisions of Section 501 C 6 of the Internal Revenue Code and Regulations as they now exist or as they may hereafter be amended.